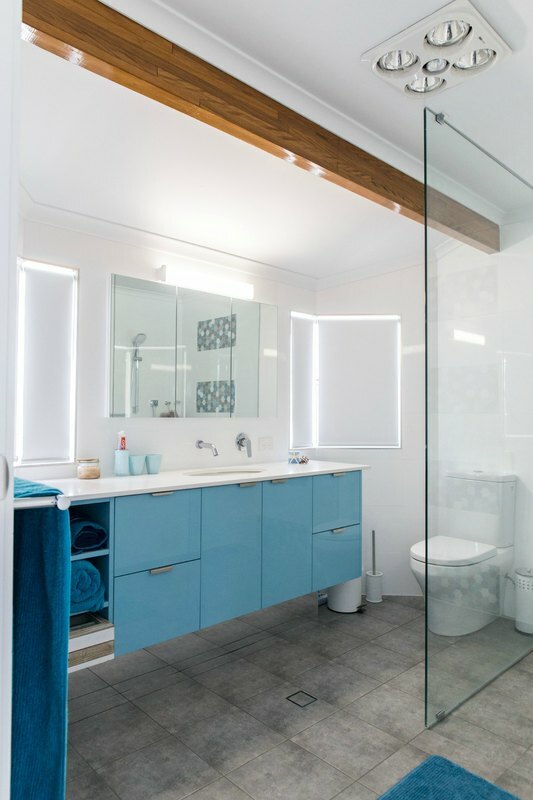 The home owners had this house in West Ballina built back in the late 1980's and after nearly 30 years of wear and tear they decided that it was time to give their home a makeover and bring it up to date with the modern world. 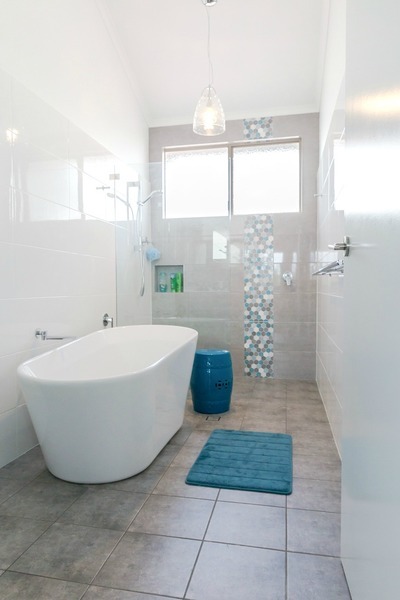 We were approached to renovate their ensuite, main bathroom and the downstairs powder room. 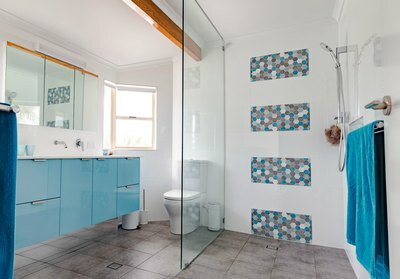 The main bathroom consisted of apricots and blues, quite typical of the 1980's! The dark blue paint and frosted glass showerscreen made the room dark and gloomy. The bathroom entrance was also on a 45 degree angle to the hallway, creating wasted space. 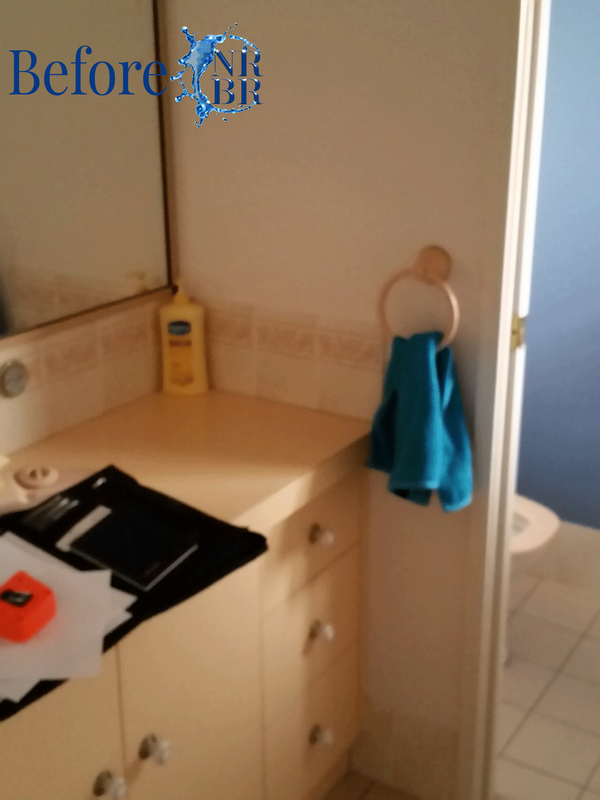 We took out the 45 degree angle which made more room inside the bathroom. 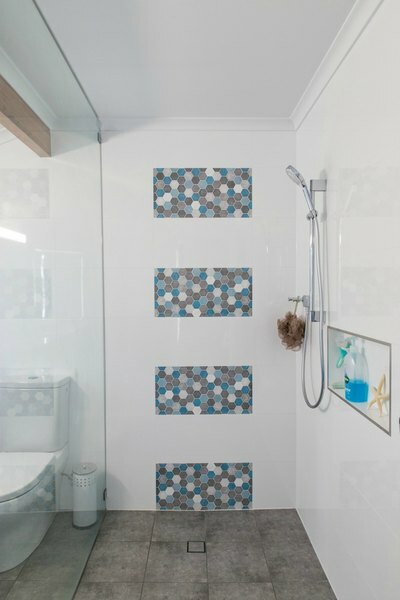 The completed look is spacious, bright and modern with accents of blue, inspired by the water which the house resides by. 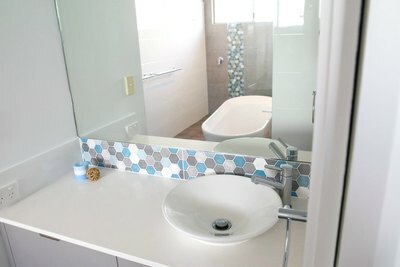 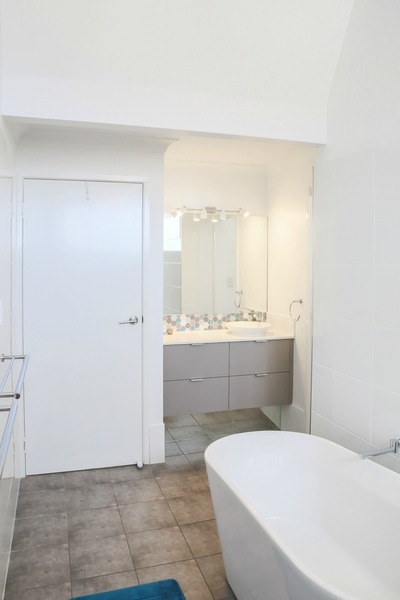 "We recently had Northern Rivers Bathroom Renovations fully strip and renovate our bathroom, ensuite and powder room. 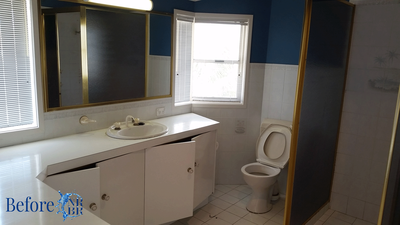 We were very pleased that we were fortunate enough to have the services of Julian Driussi. Not only is his workmanship superb but we were also impressed with his patience, helpful ideas and suggestions throughout the process.​ His skills encompassed many of the trades, so he could do much of the work himself. 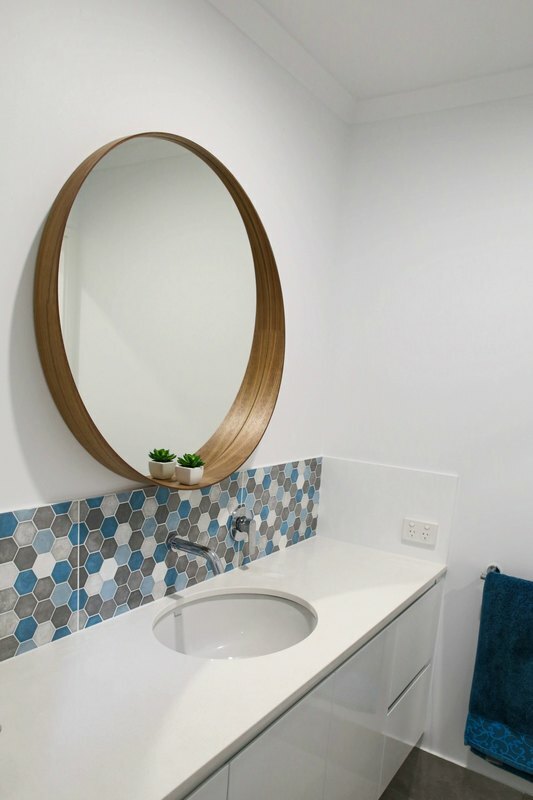 When he needed to bring in other tradesmen he employed the best in their area.Julian was very well organised, easy to talk to, and did comprehensive quotes for each job so we knew exactly where our finances were up to. 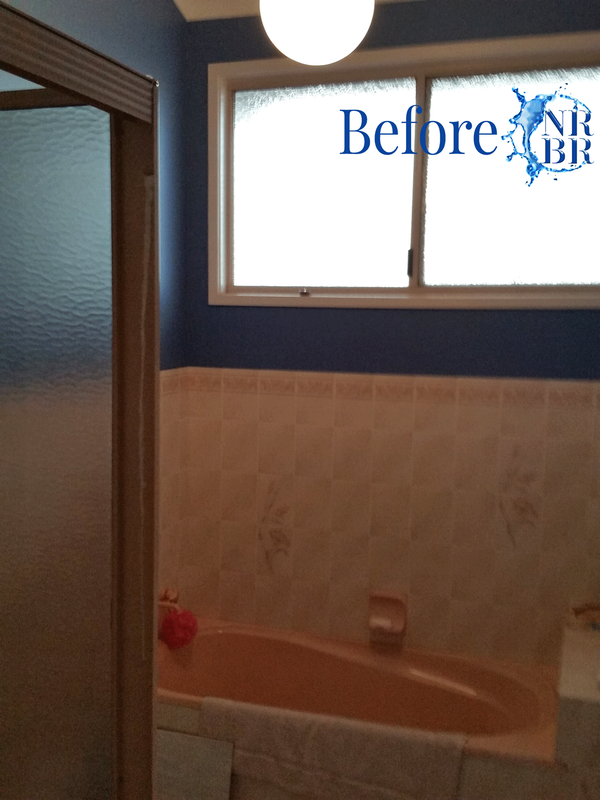 ​We could not be happier with the finished products and know that they have made a major improvement to our home. When further renovations are required we will certainly be contacting Julian. 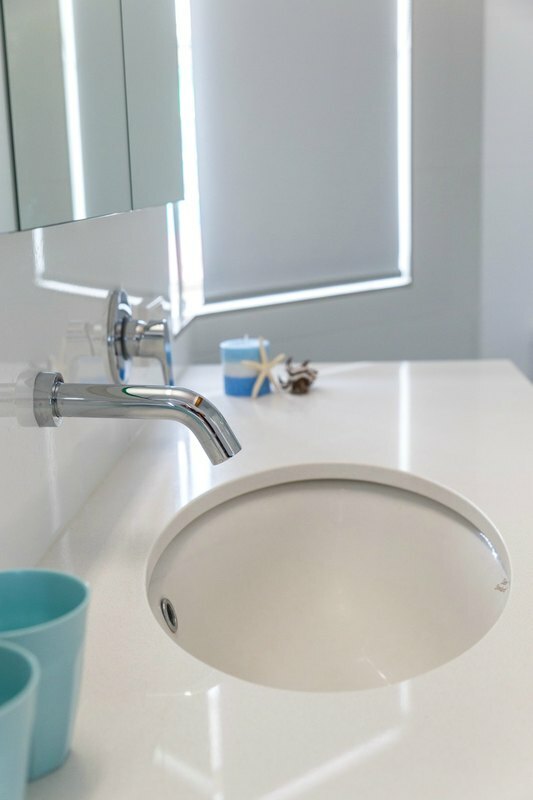 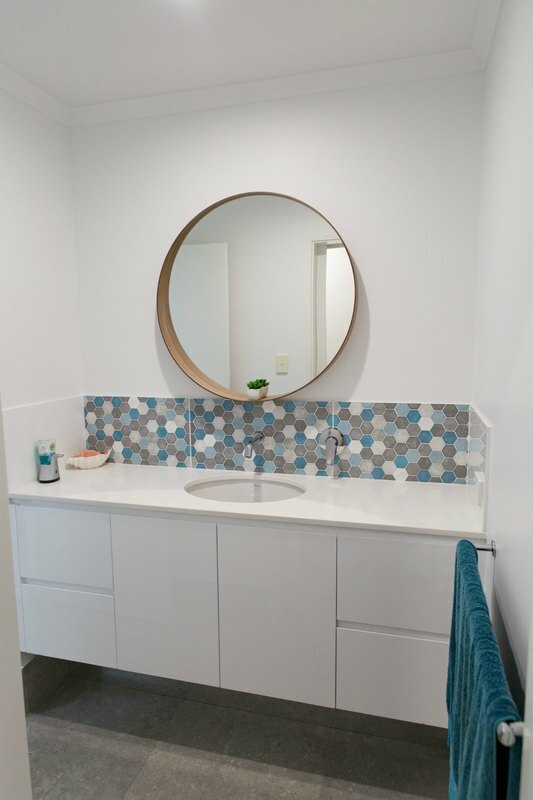 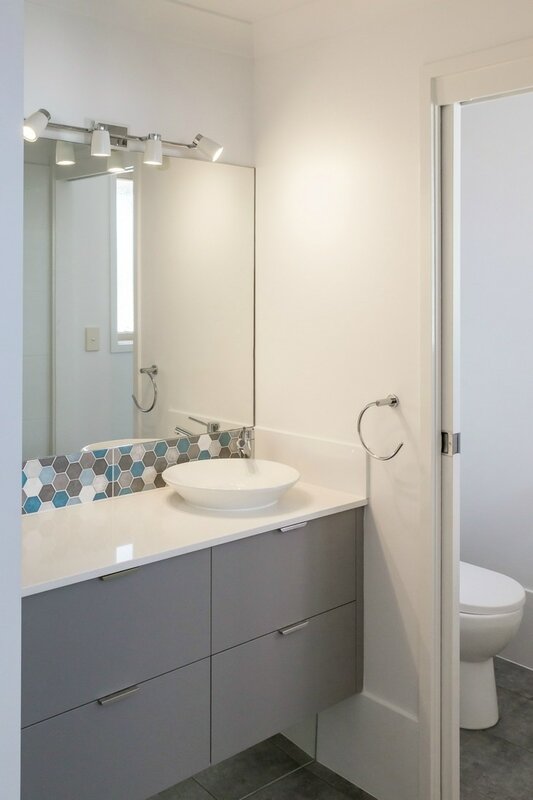 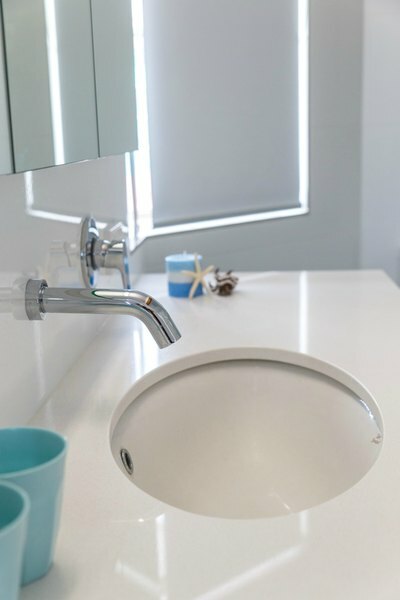 We have received many positive comments from friends and family and we have already highly recommended Northern Rivers Bathroom Renovations to them. We recommend them to anyone contemplating updating their bathrooms".